For support and further information, you can contact your regional branch of the Motor Neurone Disease Association, as below. 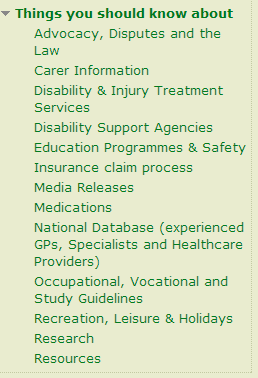 We have also compiled an international database which includes overseas organisations, support groups and much more, which you can view by clicking here. 1 What are motor neuron diseases? 3 What causes motor neuron diseases? 4 How are they classified? 5 What are the symptoms of motor neuron diseases? 6 How are motor neuron diseases diagnosed? 7 How are motor neuron diseases treated? 8 What is the prognosis? 9 What research is being done? Post-polio syndrome (PPS) is a condition that can strike polio survivors decades after their recovery from poliomyelitis. Polio is an acute viral disease that destroys motor neurons. Many people who are affected early in life recover and develop new symptoms many decades later. After acute polio, the surviving motor neurons expand the amount of muscle that each controls. PPS and Post-Polio Muscular Atrophy (PPMA) are thought to occur when the surviving motor neurons are lost in the aging process or through injury or illness. Many scientists believe PPS is latent weakness among muscles previously affected by poliomyelitis and not a new MND. The drug riluzole (Rilutek®), the only prescribed drug approved by the U.S. Food and Drug Administration to treat ALS, prolongs life by 2-3 months but does not relieve symptoms. The drug reduces the body's natural production of the neurotransmitter glutamate, which carries signals to the motor neurons. Scientists believe that too much glutamate can harm motor neurons and inhibit nerve signaling. The NINDS supports a broad range of research aimed at discovering the cause of MNDs, finding better treatments, and, ultimately, preventing and curing the disorders. Various MND animal models (animals that have been manipulated to mimic the disease in humans) are being used to study disease pathology and identify chemical and molecular processes involved in cellular degeneration. Clinical trials are testing whether different drugs or interventions are safe and effective in slowing the progression of MNDs in patient volunteers. The antibiotic ceftriaxone has been shown to protect nerves by reducing glutamate toxicity—believed by many scientists to play a critical role in the development of ALS—in a mouse model of the disease. One study found that cellular ability to manage glutamate can alter the course of ALS. The drug is currently being tested in a NINDS-sponsored multi-center human clinical trial. The novel compound dexpramipexole has shown neuroprotective properties in multiple preclinical studies of ALS, and may work by increasing the efficiency of mitochondria—the energy-producing portion of the body’s cells. Mitochondria in the motor neurons undergo significant stress in ALS patients. The compound is currently being tested in an industry-sponsored multi-center clinical trial. Several early-stage clinical trials are testing the safety and feasibility of novel treatment strategies for ALS. These include cell-based approaches such as the transplantation of neural precursor cells into the spinal cord of ALS patients, and the infusion of so-called “anti-sense” compounds into the fluid that surrounds the spinal cord and brain to block production of toxic SOD1 protein in ALS patients who carry SOD1 mutations. Other compounds, including minocycline, coenzyme Q10, and lithium, have been tested and found ineffective in treating motor neuron diseases. Scientists are developing a broad range of model systems in animals and cells to investigate disease processes and expedite the testing of potential therapies. Among these efforts, a NINDS-sponsored consortium of scientists is deriving a type of stem cell from ALS patients and using these stem cells to form motor neurons and surrounding support cells. Scientists have used gene therapy to halt motor neuron destruction and slow disease progression in mouse models of SMA and inherited ALS. The NINDS supports research to further explore this method and to provide a path toward clinical tests in patients. Scientists have found that a specific class of compounds referred to as anti-sense oligonucleotides can either block or correct the processing of RNA molecules, which are the intermediates between genes and proteins. These compounds have shown therapeutic promise in model systems of ALS and SMA, and early-stage clinical testing is underway in ALS patients who carry SOD1 mutations. Scientists are using advance sequencing technologies to identify new gene mutations that are associated with MNDs. These gene discoveries have provided new insights into the cellular disease processed and identified possible intervention points for therapy. The excessive accumulation of free radicals, which has been implicated in ALS and a number of other neurodegenerative diseases, is being closely studied. Free radicals are highly reactive molecules that bind with other body chemicals and are believed to contribute to cell degeneration, disease development, and aging.